So maybe you have got some old gold jewelry lying around or maybe you’ve stashed some in a box somewhere that you will never wear again. You’re sorting through your possessions and come across this stuff. You know you’re never going to use these anymore so you want to get rid of all of this, but where do you start? Well, you could try selling your old gold online or maybe even at a yard sale, but you know you won’t get the best price by doing that. So why settle for low ball offers from people who just want something valuable for less? You should be the one profiting from the sales and not those who offer ridiculously low prices so they can flip your gold. 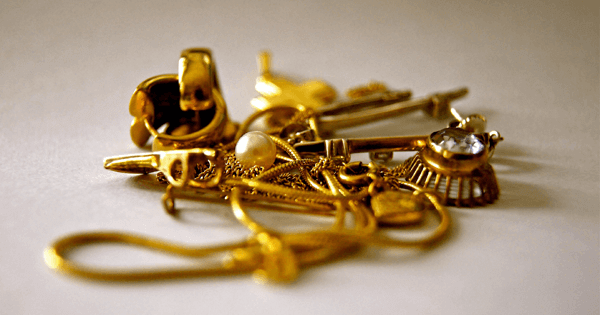 There is a lot of competition in the gold industry, especially buying and selling scrap gold, so you’ll have to search a bit to find the right person to sell your gold to … or to buy more from for that matter. And, there are ways to make sure you get your money’s worth, whether you’re buying or selling the gold. How Do You Start Buying and Selling Gold? If you do decide to become a dealer, you may need to get a special license to buy scrap gold, especially if you live in some states within the United States. Wherever you may be living, you should check with your local municipality regarding a license for this type of business. There are a few details you need to know about gold before you jump into this as a business. You’ll need to understand things like the purity of the gold that you have now or that you want to get, as well as the value of gold at the present time. Gold itself is not one hundred percent pure, which is why real gold items get stamped with their karat value to let buyers know what karat the gold jewelry, coins or whatever, is. The higher the karat, the more gold is actually in the piece. Twenty-four karats is considered pure gold. The size of the global market for gold is huge! It is around 5.7 billion ounces. This large market can cause the value of gold to fluctuate a lot, causing the price to be higher sometimes or drop unexpectedly. This is why it is so important for you to know what the current value of the gold is. Then you can decide whether or not it’s worth what you plan to pay for it. Making money buying or selling scrap gold is a learning process, but you can do it with proper training and perseverance. Anyone can learn how to buy and sell scrap gold, but it takes some time to perfect the trade and actual make money when you do it. Where Do You Buy or Sell Scrap Gold? You can buy and sell online, but it’s probably going to be a better option to do this in person. When doing these types of deals online, you run the risk of being scammed … like buying or selling fake gold or gold plated products. You need to be sure that you’re buying real gold or getting the best price for what you’re selling. You can make money buying and selling scrap gold, you just have to be wary of the buyers and sellers you deal with. Please NOTE: You may need to obtain a license to buy and sell scrap gold in order for YOUR business to be legal. Always be sure to check with your local municipality. Following the rules of this trade is one of the most important things you have to do. You will also need to start networking in order to get to know other dealers. This way you can learn to handle deals and possibly refer customers. The start of any good business is a quality customer base, so you will need to connect yourself with the people who already know what they are doing. Please, also note that I receive compensation if you use my links here, and eventually I may earn enough to buy a couple cups of coffee. If you want to buy and sell gold coins, you can do that as well. The rules are pretty much the same as with scrap gold, and you will have to follow the same processes. I cannot emphasis this enough: Always keep a close watch on the current prices per ounce of gold because it can change at any moment. This is the only way you can ensure that you are buying and selling gold at the right price. Obviously, this business is going to require mathematical skills. So, if you are not great with math then you will need to find someone who can help you determine pricing for the different karat values of gold pieces. Because gold karats differ based on the purity of the item, and the price of pure gold is so variable, you will have to keep a close watch on the marketplace and know how to determine prices for the different qualities in your gold. This step is probably going to require a calculator to be sure that you are setting the correct prices and not scamming your customers … or yourself. There is a lot of money to be made in the gold market. You just have to become familiar with what you are doing so that you too can make a profit, should you decide to become a dealer. How Can You Get Started Your Gold Business? Whether you want to buy or sell scrap gold, you can start with either buying your first piece or obtaining your dealer license … and then selling your old gold. Anyone can learn, but not everyone has the passion to continue. If you answered yes, then you are ready to get going. Get rid of that old gold jewelry you will never wear again and then buy some scrap gold, and start working on learning the trade. Be persistent and you can make good money at this, as many have. Follow the tricks of the trade … become a trusted dealer for scrap gold, and you could build a small empire. It is not going to be easy, but it’s not impossible either. Are you prepared to meet new people and learn more about buying and selling scrap gold? Just like with any other business, you will have to build a reputation and work with well respected leaders in the trade where you live. Make friends with the brokers in your town, advertise your business, and plan how you will market what you are doing; then you can watch your business take off. It really is possible for you to make a decent income in the buying and selling gold business. You just have to be prepared to work hard and learn your market to the best of your ability. Don’t be afraid to ask another dealer for help in learning how to buy and sell scrap gold. It could be worth the effort. You will never know unless you try. If you found this information helpful, I do hope you will share it with your friends … and, I’d love to hear any comment you would like to leave for me, below. Website Designer for Parr's Publishing. As a full certified Internet Specialist, I help business owners and organizations increase their profits by providing them with a fully managed, custom designed website as well as basic Search Engine Optimization. This was an eye opening post and not something ive even considered, but actually makes a lot of sense and might be something i need to read up on more. I personally have gold lying around specifically like broken chains that i used to wear and couldnt be bothered taking to get repaired, alas though it is still gold so makes sense. Funny id never thought about this whole idea. Hey Chris, I’m glad the information shared here has helped you realize that though your gold chains may be broken they are still worth their weight in gold 😉 and I do hope you will profit by knowing this now. Thank you for this valuable information, Trish! On one hand, it seems as though accumulating gold would be a wise investment in that the value of paper money or fiat currency as they say seems to always be in decline. I agree with you that it would be prudent to monitor the price of gold before buying or selling as prices do fluctuate as in any investment. Great article! Thank you Nathan for stopping by and commenting. I do hope you found the information helpful. Hi Trish, This is a great idea. I have lots of earrings in my jewellery box and I have lost one of them, so they are no longer a pair. I was wondering what to do with them. It never occurred to me to try and sell them. How did you get started in this industry? Was it hard work? Thanks for sharing. Glad you found this post helpful. I do not have a business of buying and selling gold. This is one of the many business ideas offered here after doing much research on EACH. Wishing you much success in your new business should you decide to start buying and selling gold. I really like your site and have book marked it. There are a lot of learning tools here. Glad you found this site helpful, as this is my intention … and thank YOU too for bookmarking and sharing. I like when you suggested that buying and selling a gold business can make a decent income. I have always been interested in the gold collection and I have a few of them. Since gold is expensive, it’s already a no-brainer that entering in such business is promising. In the event that I switch career to trading, I will definitely choose gold and buy and sell services. Hey Bree, glad to learn that you enjoyed the information shared here, and thank you for taking the time to comment.